We have been having fun with crabs this week. If you missed our Small Crab World Moon Sand yesterday, make sure you check it out! 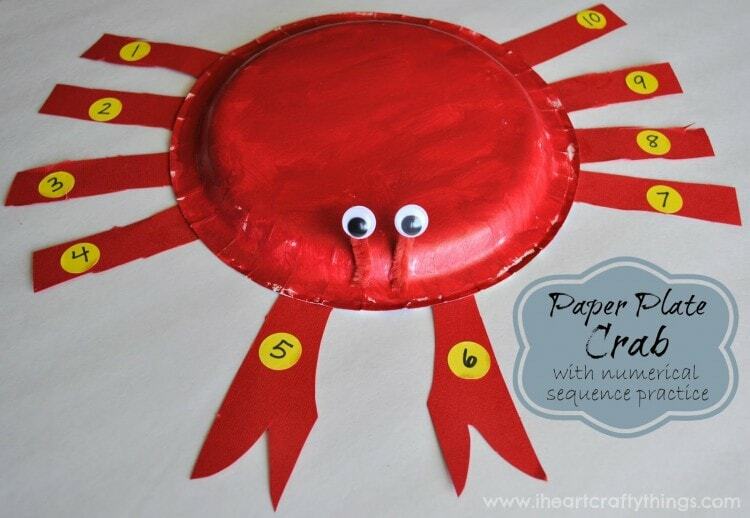 Today we made this Paper Plate Crab Craft and to incorporate the book we’ve been reading, we practiced getting our numbers 1-10 in correct numerical sequence. Just as the title says, it’s a counting book with the focus on the feet. 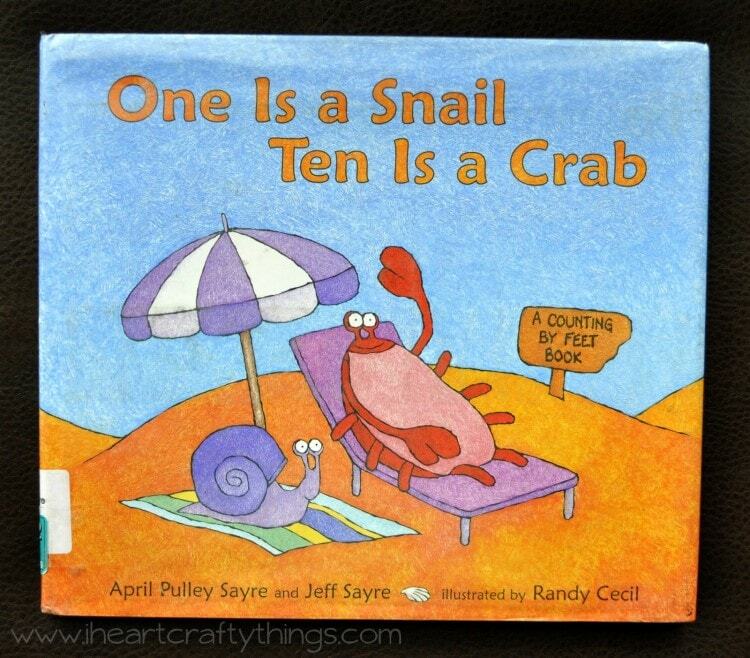 The setting is a beach where a bunch of fun-loving crabs, lounging dogs, happy insects and cute snails offer their feet for counting in a number of silly combinations–from one to one hundred! 1. 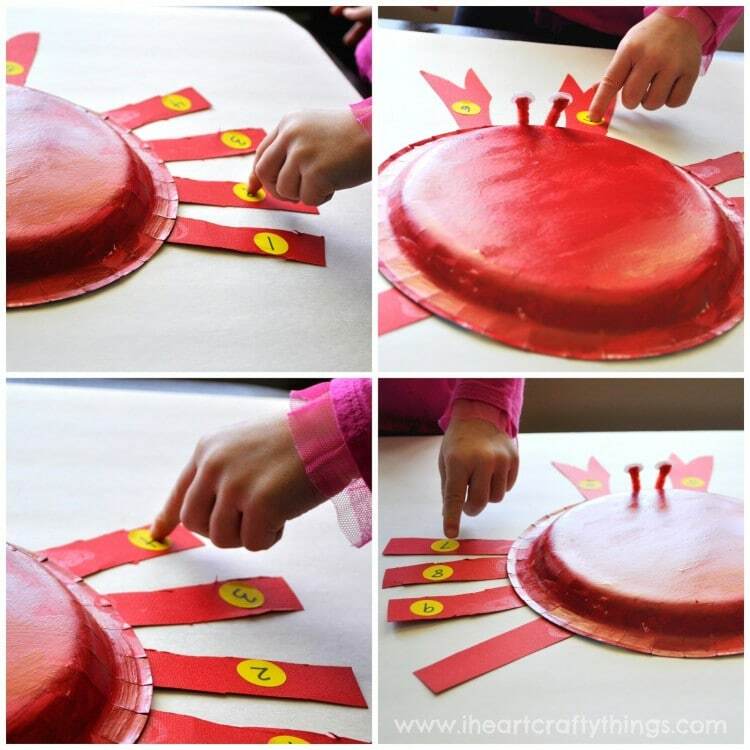 Paint the bottom of the paper plate with red paint. Let it dry completely. 3. 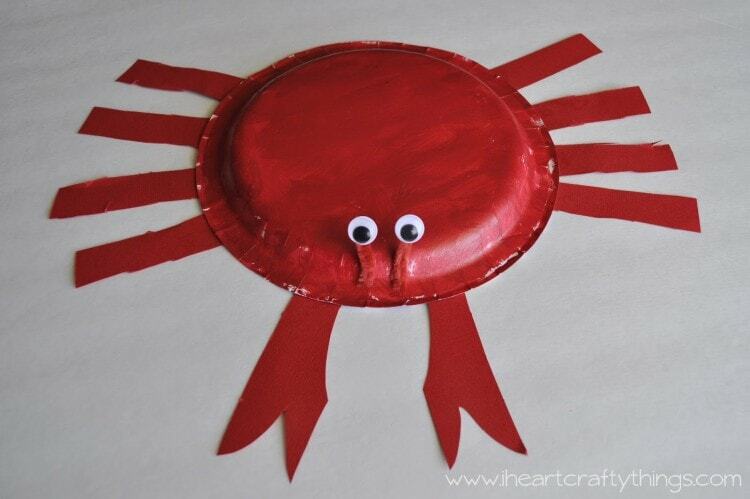 Use glue dots or school glue to attach the legs to the bottom of the crab. 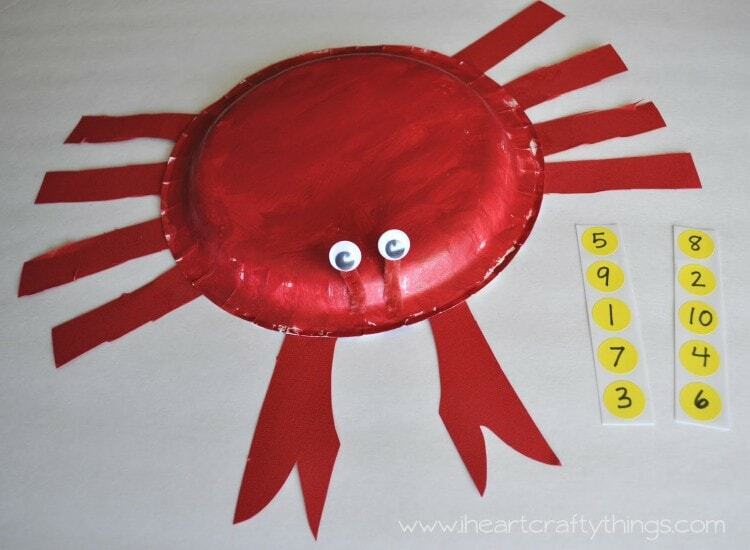 After we made our paper plate crab, I wrote numbers 1-10 on yellow circle stickers purposefully out of order. I challenged my preschooler to correctly place the numbers in correct numerical sequence on the crab legs. 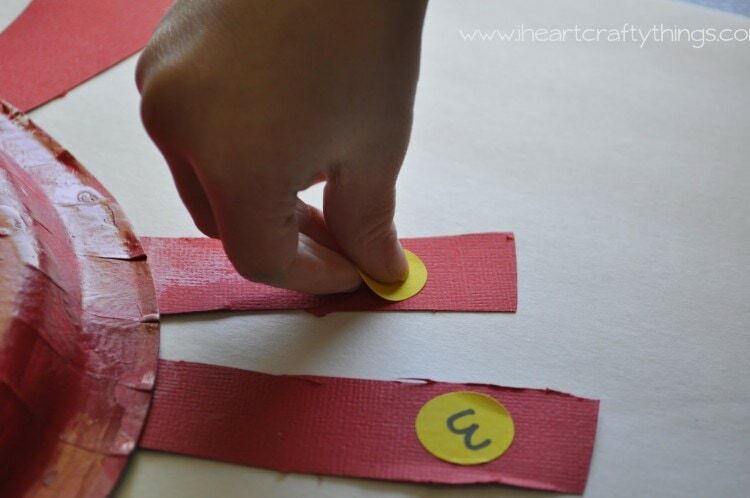 My daughter is 3 1/2 and is still mastering her numbers so I did help her with this process. If she got stuck we first counted to figure out which number we were looking for. If she couldn’t identify the number herself I actually had a cheat sheet for her to look at with the numbers in correct order. She was able to use it to count again and find the correct number she was looking for on the stickers. Do whatever you feel is appropriate for your child’s age and stage of learning. I was able to snap some pictures of her using her fingers to count the crab legs to identify what number came next, and just in general counting practice after we were finished. 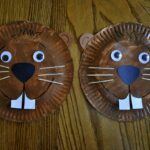 I love these one-on-one activities and experiences I get with my preschooler while my boys are in school. 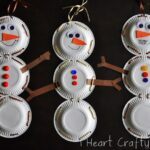 It’s been fun doing our own little home preschool this year. I pinned this pin. Are those directions available? Hi Ellen! 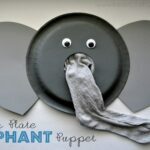 You can find the paper plate sunflower craft here: https://iheartcraftythings.com/paper-plate-sunflower-craf.html Thank you!